HAMILTON - Larry Lee Butler of Haleyville pled guilty in Marion County Circuit Court and was sentenced on Jan. 24 to four concurrent life sentences on Tuesday, Jan. 24, after arranging a series of unsuccessful murders for hire last year. Butler, 54, pled to paying money and giving instructions on June 30, 2011, to murder his wife and mother-in-law--not to mention the wife of the man arranging the murders, all while he was being taped by authorities making the arrangements. Later, behind bars, Butler even tried to arrange the murder of the contracted hit man but law enforcement found out about the plot early on. Circuit Judge John Bentley ordered Butler on Jan. 24 to not have any contact with any of the victims: Butler’s mother-in-law, Ruby Mays; Butler’s wife, Reba Butler; Ellie Hugh Walker, the man Butler hired to commit or arrange the murders; and Walker’s wife, Betty Walker, who at one point was to be murdered with Mrs. Mays and Mrs. Butler. All survived Butler’s plots. The plea agreement revealed that Butler pled guilty to Counts 8, 9, and 10 from an Aug. 2 indictment and Count 1 from an Oct. 18 indictment. All counts were for criminal solicitation to commit murder, a Class A felony that carries 10 years to life and a fine of up to $60,000. Butler had faced 14 counts, including charges involving a criminal conspiracy and attempted murder with the intent to cause death. He had also faced charges involving an attempted murder on May 23. Butler was arrested on June 30, 2011, by officials with the Marion County Sheriff’s Department while working at the flower shop owned by Mrs. Mays. He was indicted on Aug. 2 with five counts of conspiracy to commit murder, five counts of solicitation to commit murder and two counts of attempted murder. Later, he was indicted on Oct. 18 for criminal solicitation for murder and criminal conspiracy to commit murder, in relation to an attempt from jail to arrange Walker’s murder. Dressed in a prisoner’s uniform, Butler calmly walked into the Marion County Courthouse on Jan. 24, without chains and under sheriff’s supervision. He sat on a front row while other prisoners for other hearings sat behind him. His attorney, Tony Glenn, was heard before the hearing explaining the life sentence to him, while Butler gave little reaction. Four women and two men were allowed to briefly hug him or offer other encouragement. “I just want to tell you I love you. It’s going to be OK,” one woman told Butler. Sworn in on the witness stand by Bentley to confirm details of his crime and agreement, Butler hung his head down when he was not looking at Bentley to answer questions in a low voice. He briefly appeared to be wiping his eyes. Under the agreement, Butler will not apply for probation and will pay $50,000 in fines, in monthly installments of $100 beginning within 90 days of any time he is released from custody. The fine will be reduced by $1,000 for each year that Butler serves in jail. Bentley told Butler he would be “incarcerated in the state penitentiary for the rest of your life.” Butler said on the stand he has no prior felonies. A sealed motion from the state, made on Oct. 6, was unsealed at the request of the state at the plea hearing. Cook said on Jan. 25 that the state had requested special precautions which effectively limited contact with the defendant, particularly by writing or by phone, as he had tried to arrange a murder in jail. In a written statement of facts entered from Butler as part of the plea, Butler said, “On or about June 30, 2011, I solicited Hugh Walker to murder, or arrange to have murdered, my wife, Reba Butler, my mother-in-law, Ruby Mays, and Hugh Walker’s wife, Betty Walker. 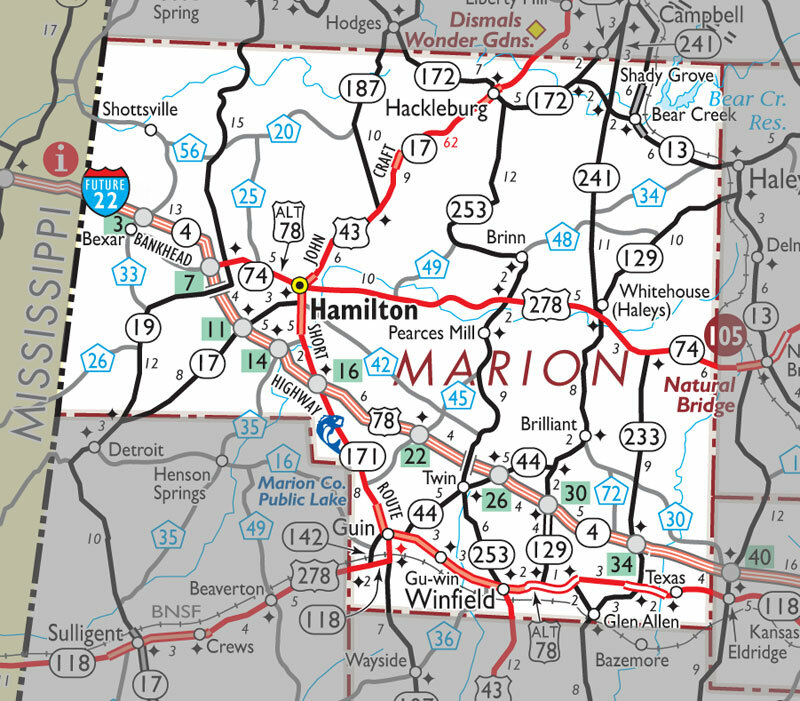 Subsequent to these events, after he was placed in the Marion County Jail in Hamilton, he said that he approached a person--identified later by authorities as an undercover agent who was using a different name--to murder Hugh Walker. “I believed that if Hugh Walker was dead, the (earlier) charges in CC 2011-287 would be dismissed,” Butler said. A July 18, 2011, preliminary hearing revealed Butler and his wife of 35 years were living with Mays at her residence at the time of the home invasion on Monday, May 23, 2011. Garvis Mays died earlier in 2011, leaving Mrs. Mays and the Butlers to operate the family business, Mays Wholesale Flowers. Haleyville police responded to the residence on Alabama Avenue at 5:42 a.m. on May 23, 2011, following a report of a home invasion. Mays and Mrs. Butler were victims of the invasion, reporting an unidentified male attacking Mrs. Butler, who was sleeping, while Mrs. Mays suffered injuries coming to her daughter’s aid. The assailant also reportedly attempted to choke Mrs. Butler. When Mrs. Mays entered the altercation, the man fled the scene. There were no reported signs of forced entry to the home. Mrs. Mays was treated at her home for minor bruising, while Mrs. Butler was transported to Lakeland Community Hospital in Haleyville for treatment of lacerations and contusions. She was eventually transferred to UAB Hospital in Birmingham. Upon her release from the Birmingham facility, the victim was later treated for dehydration and stomach-related issues at the Haleyville hospital. Investigators said that Butler first approached Walker some weeks before the May 23 incident, offering to pay him $20,000 to carry out the murder of Mrs. Butler and Mrs. Mays. Walker would not settle for that amount but instead requested $150,000. Cook said on Jan. 25 that a “substantial amount” was eventually paid, although he did not remember how much. During the July 18, 2011, preliminary hearing, testimony was given that Walker entered Mays’ residence on May 23 wearing green coveralls and a ball cap. He was not wearing a mask, according to testimony. A portion of a wooden coat rack wrapped in cloth and then wrapped with tape was used as a weapon. Mrs. Butler was reportedly struck in the head while she was sleeping. Mrs. Mays, the only family member to testify at last year’s hearing, later said she overhead Mrs. Butler screaming, so she came into the room and jumped on the man, in order to get him off her daughter. She then went to get a hand gun. As she was doing that, the man fled the residence, according to testimony. According to Counts 11 and 12 against Butler from the Aug. 2 indictment, Butler was charged with attempting to cause the death of Mrs. Butler by sending in Walker to beat her to death with a blunt force object on May 23. It was after this incident that Butler said he approached Walker on June 30 to arrange again for his wife and mother-in-law to be killed, as well as Mrs. Walker. Butler was arrested that same day--as it turned out Walker had already turned himself in to authorities and was cooperating. Lt. Ronnie Vickery of the Marion County Sheriff’s Office testified on July 18 that Walker contacted the sheriff's office and came forward due to guilt and remorse over the May 23 incident. Tommy Moore, chief investigator with the district attorney’s office, testified on July 18 that law enforcement conducted an interview with Walker and also conducted video surveillance that recorded a conversation between Walker and Butler planning a second murder-for-hire situation against Mrs. Butler and Mrs. Mays. Walker cooperated with law enforcement on the surveillance after turning himself in to law enforcement. After confessing to authorities about his role in the murder-for-hire incident, Walker was charged with second-degree assault and second-degree burglary. He posted a $5,000 bond and was released from the Marion County Jail in Hamilton. Butler requested on June 30 that Walker carry out the murder-for-hire plan. Butler, according to the video, exchanged $2,000 with Walker, and further compensation was expected to be paid at a later date. The plan would be carried out the following week. Walker also said he had found someone else to carry out the plan. It was explained that person would be paid to carry out the plan. The video surveillance was arranged by Moore and recorded in the Bear Creek area, according to authorities. It was after these events that Butler targeted Walker from jail, but Butler’s actions were found out, leading to his dealing with an undercover agent. “An inmate turned over a note that Butler had given to him to one of the jail personnel,” Cook said on Jan. 25. The inmate then cooperated to become a go-between to connect with the undercover agent, acting as a hit man with a false name. The inmate said the hit man he was recommending was a friend of his, and the agent and Butler communicated by mail and later by phone using a number Butler was given. “Basically it was the same thing he fell for the first time: ‘I’ve got this friend that will do it,’” Cook said--when it was actually the investigator. Butler almost got to see the undercover agent earlier on June 30, as that meeting was supposed to also involve another hit man character that the agent was portraying. However, Cook said that Butler was worried about something going wrong and at the last-minute requested that meeting only be with Walker. He also changed the meeting site at the last minute, but did not realize Walker was wired to record the conversation. In a statement released on Jan. 25, Cook said he was glad that Butler “accepted the responsibility for his actions by admitting his guilt” and entering his pleas. He was also glad the victims would not have to deal with the trauma of reliving the tragedy. “This case has been a tragedy for all those involved. Perhaps today can begin a healing process, but there are scars that will never be fully healed,” he said. He said there are many other victims in this case. “The victims’ extended families have been made victims. The defendant’s family is a victim. Mr. Butler even victimized himself through his actions,” Cook said. He thanked a number of agencies that assisted, including the Haleyville Police Department, the Marion County Sheriff’s Department, and the Alabama Beverage Control Board. “Special gratitude is given to Lt. Tim Steien of the Haleyville Police Department and Chief Investigator Tommy Moore of the District Attorney’s office. Their tireless effort to bring this case to this conclusion is deserving of the gratitude of our community and is an example for all those involved in law enforcement,” he said.